Parenting is a journey that we look forward to and plan for – for years before we actually have our babies. We are excited about the journey – we are looking forward to the beautiful moments that the journey will bring along we are eagerly looking forward to creating memories – but somewhere along the way – we begin to miss out on the beauty of this journey. Amazing moments that have the potential to uplift our souls and etch themselves in our memories – pass us by without our even noticing them – because we are weighed down by stress and anxiety. Stress and anxiety comes from having questions about our children – questions like Is this normal? What should I do? How should I do this? Am I right? Is this good for my child? Is this normal? and not finding reliable answers to these questions. And here is where we step in. We provide answers to these Parenting questions. We ensure that these questions are answered by experts. We don’t say “you should do this” and “you should do that” and leave that little voice at the back of your head asking “why”. We try to answer the why behind the shoulds – so that you are convinced about your parenting actions and can forge ahead with confidence and persist and be consistent. Our aim is not to tell you how to parent your child. We believe that no one knows what your child needs better than you. Our aim is to try to help you understand the needs of your child better by helping you understand his growing brain and body. Because your child after all is made up of a growing brain and body. Understanding the growing brain and body is a very important step towards understanding your child because a lot of parenting mistakes are made because parents assume that their children are miniature versions of themselves and treat them like miniature adults. Understanding builds empathy and compassion. And although we are firmly against preaching – the one thing that we do preach is kindness and compassion. Be kind – to your child and to yourself – is our message. Laugh at yourself – laugh at your child – laugh at life. Enjoy the journey. No one can ever be a 10/10 parent – but when you feel like you deserve a 2/10 for your performance as a parent – help us help you find the information that can help you climb back up the scale to an 8/10. Ask us questions. It will be our pleasure to help you find answers. 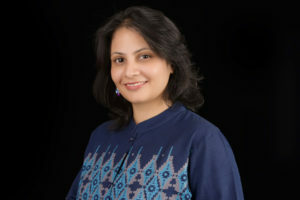 Dr Debmita Dutta MBBS, MD is a practicing clinician and a Parenting and Wellness consultant in Bangalore. She hand holds parents through their parenting journey – right from the time they conceive – up until their children leave their teens. She does this through Parenting workshops that she conducts at schools and corporate organizations. She is passionate about making medical science easy to understand and apply for parents. 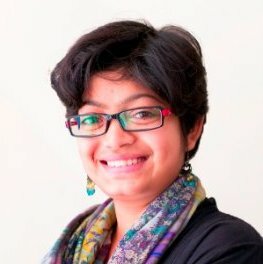 Niharika Shenoy is a graphic designer, content writer and a trained counselor. She is also a visual artist. Niharika is the creative head at What Parents Ask. It is her passion to make information fun and engaging.